It’s a brand new year full of brand new flavors and feelings. So far in this first week it’s been a bit of a shitstorm - quite literally on the East coast as y’all suffer it out under a deep freeze (stay toasty, buds). This year, I wanna take steps to make cmd+f to feel more like a community. After the response to cmd+vent, I believe it’s feasible. I know I spend every week telling y’all what you could be listening to, but that’s from one perspective. To accomplish this, I’d love to hear from you about your music experiences throughout 2018. Was there a song on your Discover Weekly that blew your mind? Were you stopped in your tracks in the middle of picking out a detergent and heard a wicked tune humming over your head? An above average concert opener? How about a song from that party you went to last weekend when your friend’s cousin DJ’d? As I said last year: your new favorite music act is always looking for new fans. Give us the goods, and everyone wins. For now, it’s business as usual: strap in for 5 exciting emerging artists to slip onto your radar. The New Year has brought on a clean slate - thus, a fresh playlist is born. 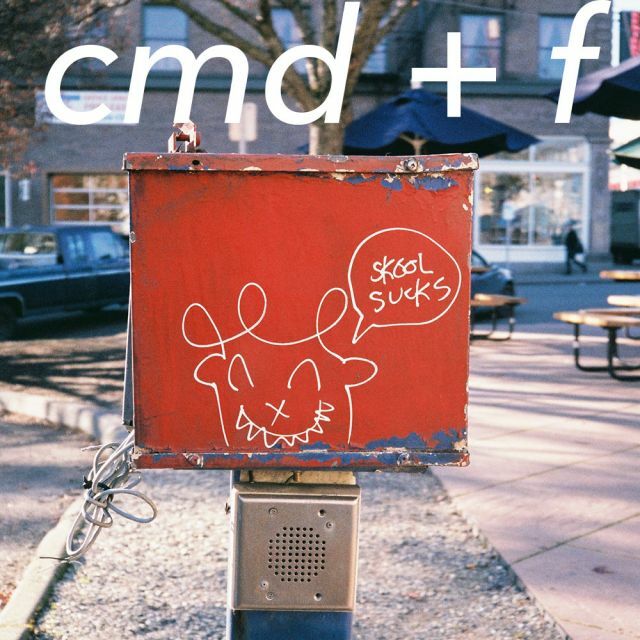 A(lmost a)ll of the tracks I am going to share in the cmd+f newsletters this year will be archived into a single playlist on Spotify for you to follow here. Subscribe to that playlist, share it with friends, or take some inspiration from the ever growing list to compile some lists of your own.